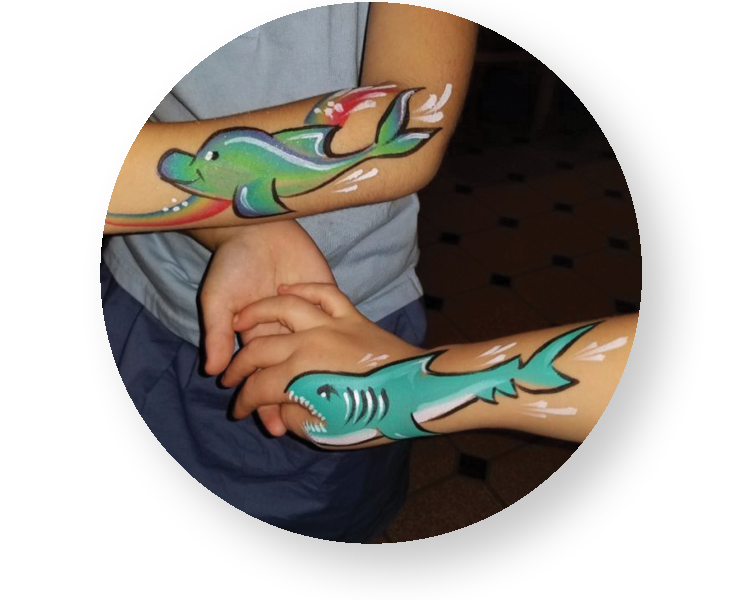 What better way to add some excitement to your event than with Airbrush or Temporary Tattoos! All the fun with none of the commitment. We use only FDA compliant, cosmetic grade products for our Henna and Tat designs. So if you are looking for something fun, unique, or just plain different for your next party or event, we have tons of designs to choose from so your guests can be as crazy or conservative as they want. Betina was awesome! Not only a great artist who would blow the best away but also priced extremely fair. We’d love to use her again! Stacy S.